The supplement is not entirely suitable in case of severe magnesium deficiency, due to its relatively low content of this compound. 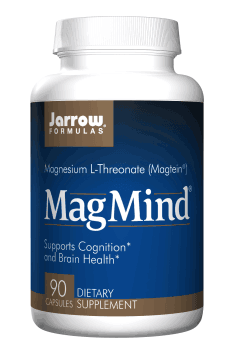 In case of diagnosing deficiency of this compound, I recommend using MagMind along with another magnesium chelate, characterized by the higher content of the element in the tablet. It will allow to comprehensively support the functions of the nervous system and the remaining mechanisms of the organism. On the other hand, relatively low percentage level of magnesium in this chelate is not its disadvantage. It is characterized by incredibly high assimilability, due to which the portion contained in the daily dose (2000 mg of magnesium threonate, including 144 mg of the pure element), is entirely sufficient in order to stimulate mental functions.